Designed to withstand high in-rush and rated up to 20A, the small size J123F Series relay is light-weight. 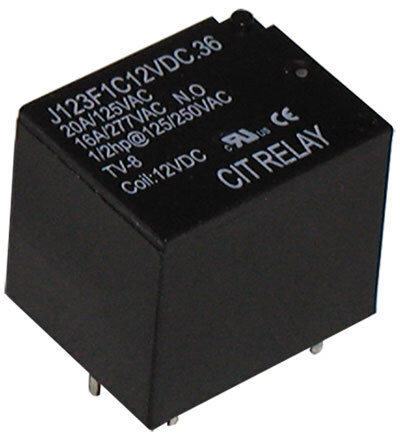 The J123F 1000W lamp relay offers contact arrangement or 1A or 1C. Coil voltages for this UL-approved relay range from 5VDC up to 48VDC with coil power of .36W or .45W. Dimensions are 19.5 x 16.1 x 17.1mm. UL Agency approval is E197852.